Long hair is the big dream of every woman. Despite being at least of medium-length or reaching even lower than the shoulder line, obviously, the strands should be healthy, thick and shiny. Sadly, the poorly-chosen care products, a bad diet, stress and lack of vitamins (also these delivered to the hair from the outside) delay hair growth and, sometimes, even stop the process completely. To make hair grow faster and, what is even more important, look healthy, you should reach for the best, natural substances and apply such products which are safe not only for the hair but also for the scalp. The perfect and, as far, the best solution is introducing natural oils combined with herbal and plant extracts into the daily hair care. Such substances don’t only take care of conditioning and nourishing the strands, but also they directly affect the hair bulbs in a highly positive way. One of the best-known and well-recognised substances of hair growth accelerating action is Amla fruit extract. 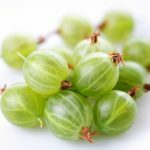 This Hindu gooseberry extract contains a lot of vitamin C, polyphenols and flavonoids. Moreover, Amla is valued because of being the source of antioxidants and having hair rejuvenating features. Also, Amla is known for being able to fix the damages that have occurred on the delicate hair structure. As mentioned before, Amla also affects the hair bulbs by gradually and gently stimulating them to work. This means that when treated with Amla, the hair bulbs become encouraged to produce healthy, strong and beautiful hair. 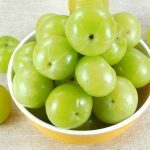 In order to make Amla extract work better, it has to be mixed with natural oils which don’t only pose base for the Hindu gooseberry extract but also affect the hair and the bulbs directly by delivering essential vitamins and minerals. Thanks to this, the strands become strengthened, more elastic, full of shine and vitality. 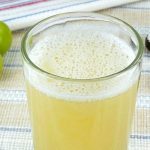 Most frequently Amla makes a maceration when combined with the most popular and widely accessible coconut oil. It’s a gentle oil which composes well with all flower extracts, herbs and other natural oils. If you really want to get your hair long and thick fast, it’s worth reaching for either Amla hair oil or for other blends of natural oils currently available on the market. The key rule is that the products’ composition must be developed in such a way to be suitable to apply it directly to the scalp (healthy scalp and hair bulbs are the very basis without which hair won’t be able to surprise with either accelerated growth nor with the beautiful looks). Secondly, the more natural oils make the composition, the better. Thanks to this the oils complement one another and together create a beauty elixir of the extraordinary power and high effectivity of action. Nanoil is a brilliant hair cosmetic. Undoubtedly, this is the product that perfectly answers hair needs since it takes into consideration the extent of the damage the hair structure suffers (so hair porosity level). Thanks to this, the oil delivers exactly the substances required by each hair type. Therefore, hair can grow healthy, strong, full of shine and volume. Nanoil is divided into three products that focus on different hair needs and problems. Each of the hair oil poses a unique combination of natural oils which fits ideally into hair structure, supports hair condition and provides deep nourishment. Moreover, Nanoil hair oil contains natural substances of hair growth accelerating action. On the other hand, what the products lack are parabens and silicones that can distort the action of the natural oils. When it comes to application, Nanoil hair oil can be put on hair no matter if the strands are wet or dry. It can also be applied a few times a day so as to improve hair looks immediately. Natura Siberica hair oil is a well-designed product that goes with a glass dropper. It poses a combination of natural oils among which the most important is common sea buckthorn that is a source of vitamins, antioxidants and fatty acids belonging to Omega-3,-6 and -9 group. The oil also contains squalene that enables to regulate sebum level of the scalp. 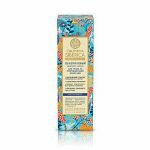 Natura Siberica together with its common sea buckthorn oil is bound to accelerate hair growth through improving blood circulation in the scalp and strengthening the hair bulbs. The product is to be applied two or three times per week. It’s also suitable as an hour-long hair and scalp treatment. On the other hand, its performance as a leave-in conditioner or as a heat protection lotion isn’t that impressive (if not removed, it can weigh hair down). 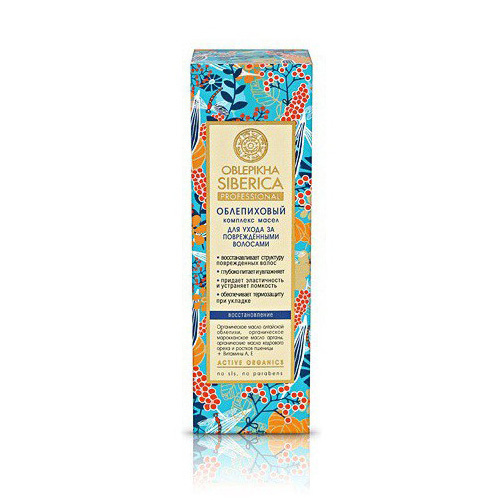 Natura Siberica, Oblepikha Oil Complex for Hair Growth delivers water to the scalp, eliminates dandruff and when applied regularly and for a long time, it can rebuild the damaged structure of the strands. Thanks to this, hair is expected to grow faster, gain shine and become soft. 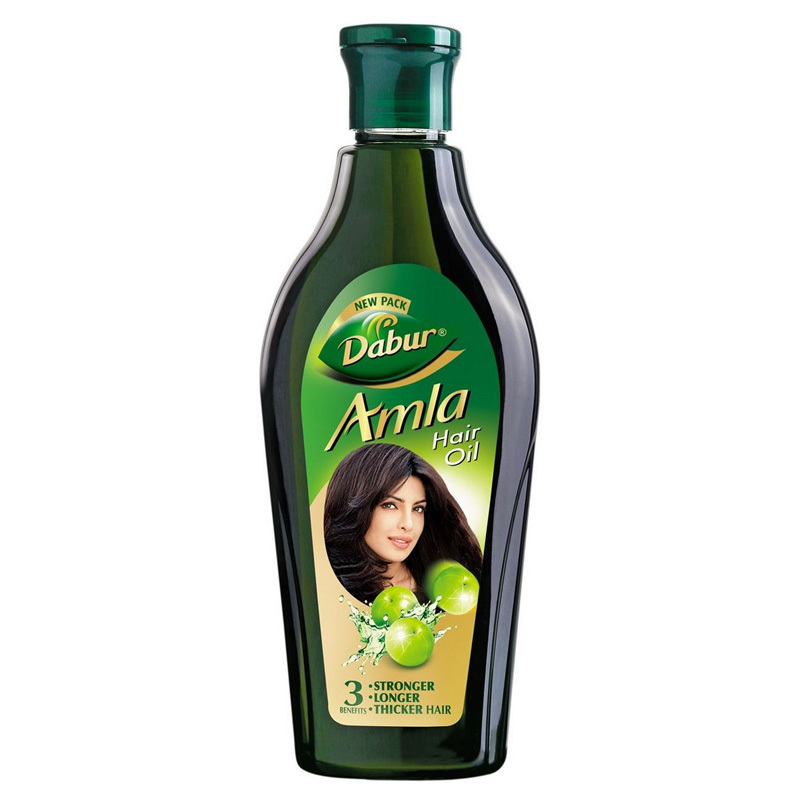 Dabur Amla hair oil is a maceration of powdered Amla berries and coconut oil. Original Amla Oil is mostly destined to take care of dark hair. Therefore, the alternative version of the product was created, too. Dabur Amla with jasmine extract can be used by fair hair owners. 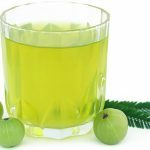 Regular use of Amla Oil has pro-healthy features, which is why hair doesn’t only gain shine and beautiful looks but also becomes strengthened from the roots to the ends. The hair oil has intensive green colour and gets dense when exposed to the low temperatures (before applying, the oil has to be warmed up by spilling it to the palms of the hands). Alma Dabur can be used to perform oil hair and scalp treatment. It has to be applied at least once a week, leaving it for a few hours or overnight to rinse it with a delicate shampoo afterwards. Because of its strong and rather unpleasant fragrance, the product isn’t recommended to be used as a leave-in conditioner or a serum for damaged hair ends. 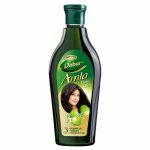 If used regularly, the oil makes hair take over the Amla’s characteristic smell, unfortunately. However, the consistency and determination will fruit with accelerated hair growth. Last but not least, Amla hair oil also takes care of the scalp since it cleanses the skin of the head and helps to deal with dandruff.